Need to fix some road rash on your leathers" How about a patch or two" Call up Pilot Motosport for a quote. 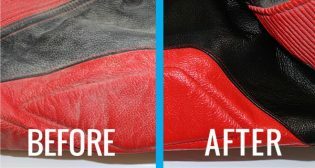 Cleaning and conditioning not only brings back the luster and suppleness to old leather but also includes a full cleaning of your suits mesh liner, removal of salt and grit from zippers and restoration of Velcro surfaces. All for just $100. WHY USE PILOT"